Who would you trust to save the day when the world is in trouble? Wonder Woman is always at the ready to take on any challenge that faces Earth. This hero comes from an ancient race of super women known as Amazons which means she is not to be messed with. With her super strength and lasso of truth Wonder Woman will always be there to save the planet from any super villain that might turn up. If you think your girl is up for that kind of challenge, let her fill the iconic shoes with this child Wonder Woman costume. 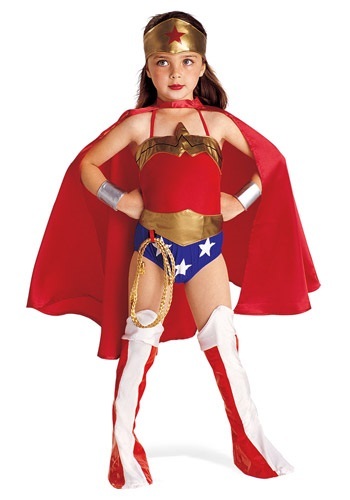 With classic character details, this costume will make for any event extra memorable!